This Bluetooth smart mirror does a lot more than just reflect back. It plays music, takes calls, shines LED lights, and even has anti-fog technology so it’s always clear (even after a steamy shower). Dimensions: Vezzo: 24" x 32"; Vero: 30" diameter x 2.5"; Vetta: 24" x 64" x 2.5"
Weight: Vezzo: 29 lbs. ; Vero: 23 lbs. ; Vetta: 46 lbs. Viio is a music-playing, light-casting, fog-fighting Bluetooth smart mirror. It connects to your phone via Bluetooth (or an aux cord), so you can take a call, play your favorite songs, or listen to the morning news as you’re getting ready. 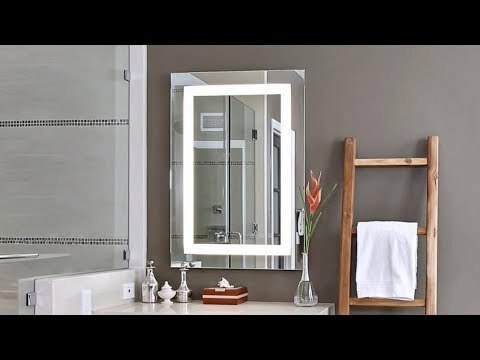 You can use it right after a steamy shower—its anti-fog technology lets the mirror heat up to the room’s dew point and stay clear. Then you can just tap to turn on the bright, LED lights. These frame the mirror to give you an extra sharp reflection. One of our teammates who tried Viio out said the lights were as effective as using a magnifying mirror. 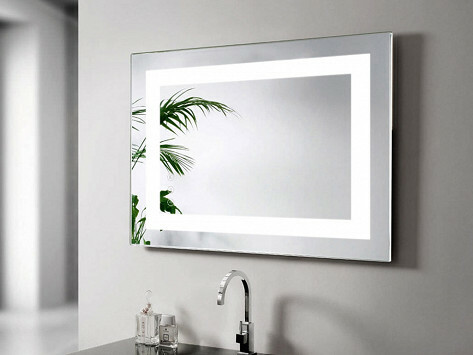 And you’d never guess this beautiful, sleek mirror is so high tech. Its clean, minimalist design complements your existing décor seamlessly.